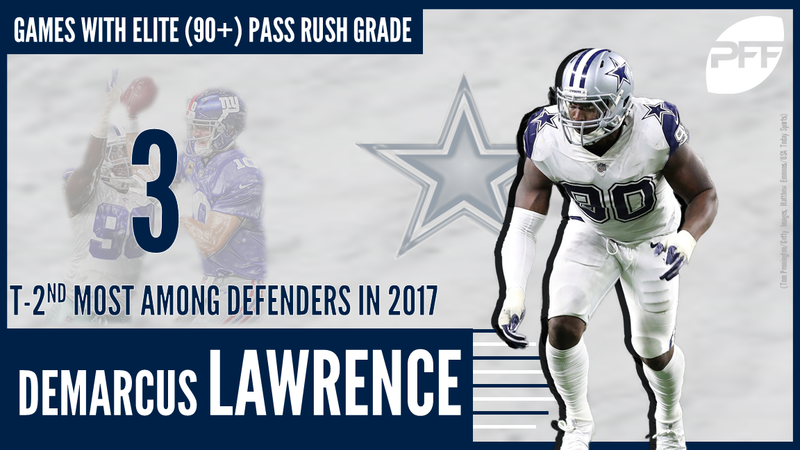 A quiet start to the new 2018 league year for the Dallas Cowboys kicked off with their franchise-tagging of breakout edge defender DeMarcus Lawrence, who led the league’s 4-3 defensive ends in pass-rush productivity last year. After their slow start, things did heat up, relatively, for a typically quiet Cowboys franchise during free agency. Dallas did their best to address some issues of depth along spots on offense, bringing in former Jaguars receiver Allen Hurns, former Bills receiver Deonte Thompson and former Jets edge defender Kony Ealy. Cameron Fleming joins the offensive line room, an area of concern and in desperate need of depth after they suffered through injuries to Tyron Smith a season ago. There are some spots still to fill including offensive guard and extra members of the secondary after the losses of G Jonathan Cooper (49ers) and CB Orlando Scandrick (Redskins), but with a deep class in each respective position group in the 2018 NFL Draft, it’s still possible for them to find help there.